The head of our All-Position Vise rotates 360 degrees and also tilts from 0 to 90 degrees, letting you position your work at the most accessible angle. All movements are locked by a single lever. 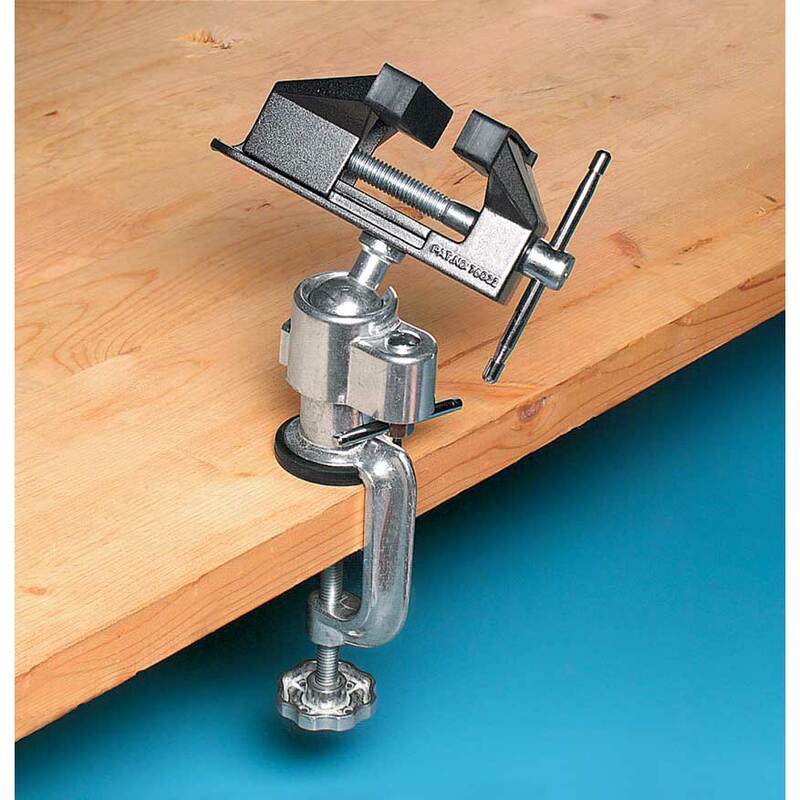 The vise clamps to the edge of your workbench (up to 2-1/8 inches thick) for portability. Made of die-cast aluminum and nickel-plated steel. Jaws are 3 inches wide, open to 2 inches and feature slide-off rubber pads. Overall height above workbench is 6-1/4 inches (in vertical position). A great value compared to other all-position vises.